There will be a memorial service on Friday, April 12, at 1:30pm, at the Trinity Reformed Church in Orange City. The Rev. Robert De Boer, the Rev. Dr. Brian Keepers, and the Rev. Gary Hegstad will officiate. Interment will be prior to the service at the West Lawn Cemetery in Orange City. There will be a family prayer service on Friday, at 12:30pm, at the Oolman Funeral Home in Orange City. Visitation with the family will be on Thursday, from 5:00pm to 7:00pm, at the funeral home. Glen Dewey Hegstad was born on November 28, 1926, to George and Christine (Erickson) Hegstad, on the family farm near Powers Lake, ND. He was the second born, following his brother, Philip, and then joined by his younger sisters, Gladys, Rebecca, and Lettie. Glen attended country school a couple of miles from the farm and then graduated in 1945 from Powers Lake High School. The January preceding his graduation, Glen was drafted into the Army Air Force, but was given a deferment enabling him to finish high school. Immediately following graduation, Glen reported for the service with his basic training at Sheppard Field in Texas. His basic training was completed the day WW II was over. On account of the fact Glen had taken typing in high school, Glen was transferred to the regular Army and assigned to Fort Meade, MD, to help process the soon-to-be returning service personnel from Europe. His time in the service provided for him the opportunity to attend college through the G.I. Bill. Glen attended Pacific Lutheran College in Tacoma, WA, and Bethel College in St. Paul, MN, and he graduated from Minot State College in Minot, ND. 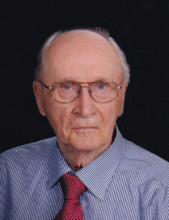 His 50 year teaching career began at Ambrose High School, Ambrose, ND. He then taught at Portland High School, Portland ND, and Hillsboro High School, Hillsboro, ND. While teaching at Hillsboro High School, Glen was recognized by the National Association of Biology Teachers as the 1967 North Dakota High School Outstanding Biology Teacher. While teaching in Portland, Glen met Ardell “Ardie” Pederson. On July 24, 1955, Glen and Ardie were married at Aurdal Lutheran Church, in Portland, ND. In the years that followed, three children were born to them: Christine, Gary, and Renee. Christine married Jerry Dykstra, Gary married Julie Van Hove, and Renee married Jeff Guthmiller. Glen was grandpa to ten grandchildren: John (Kim) Dykstra, Michael (Lynnae-fiancé) Dykstra, Nathan (Danielle) Dykstra, and Joshua Dykstra; Bethany (Tim) Swart, Grant (Jen) Hegstad, Emily (Nathan) Fischer, and Greg (Carly) Hegstad; and Sean (Abby) Guthmiller, and Jennifer (Derek) Plegge. Ten great-grandchildren have come into the family as well: Ben, Graham, and Eli Dykstra; Julia, Jack, and Thea Swart; Megan and Grayson Hegstad; and Heath and Theron Fischer. In addition to Glen’s BS degree in education, majoring in biology, Glen earned a Master’s of Science degree from the University of South Dakota in 1959, followed with his PhD in botany from North Dakota State University, in 1973. Glen’s college teaching began in the fall of 1967 at Northwestern College in Orange City, IA. While he taught many different classes through the years, the classes of botany and ecology were some of his favorites, as these classes brought him back to field trips to various prairies and natural environments. Following retirement in the spring of 1992, Glen’s teaching career surprisingly reemerged in January of 1993, when he was asked to teach botany at Western Iowa Community College in Sioux City, IA. Glen taught there for an additional 12 fall semesters. Glen enjoyed working with staff of Northwestern College in regard to plants and trees on the campus, serving as an advisor for students at Au Sable Environmental Institute, Mancelona, MI, helping establish hiking trails at Inspiration Hills, Inwood, IA, the establishment of the College Field Station near Alton, IA, and helping with the design of the Puddle Jumper Trail in Orange City. Glen was very pleased and assisted with the planting of Trinity’s Prairie on the campus of the church. When not leading field trips to a natural setting, Glen took trips into “the fields” as he worked as an insurance crop adjuster for 14 summers. History was always an interest of Glen. He, assisted by his wife Ardie and other family members, wrote seven histories of the different branches of the family, as well as documenting and compiling another dozen books or notebooks of various subjects of interest. Transcending all of Glen’s interest in the prairie grasses and plants, and his interest in history, was his faith in Christ Jesus. Glen professed his faith in Jesus Christ while an eighth grader and was baptized at Bethel Baptist Church in Powers Lake. Glen’s faith characterized his life and the decisions he made. Glen and Ardie’s involvement in the life and ministry of Trinity Reformed Church in Orange City was a blessing to many and instrumental in contributing to God’s Kingdom’s work. Glen was an elder for many years at Trinity, taught Sunday school classes and was an active member of the social action committee and Trinity Boosters. Other community service included participating in the Dutch Heritage Boosters, the Orange City Historical Society, and the American Legion. As their retirement years continued, Glen and Ardie moved into an apartment at Landsmeer Ridge Retirement Community in Orange City in 2014. Glen was preceded in death by his parents; brother and his wife, Philip and Ethel Hegstad; sister, Gladys Jastrzebski; sister and brother-in-law, Rebecca and Tovio Maki; sister and brother-in-law, Lettie and Bill Greenfield; brother-in-law, Kenneth Hogfoss; and sister-in-law and brother-in-law, Purdin and Eleanor Dahl. Glen is survived by his wife, Ardie; his three children and their spouses and families; brother-in-law, Stephen Jastrzebski; sister-in-law, Norma Hogfoss; brother-in-law and wife, Ted and Arlene Pederson; and many loved nephews, nieces, and cousins. To send flowers or a remembrance gift to the family of Glen D. Hegstad, please visit our Tribute Store. "Email Address" would like to share the life celebration of Glen D. Hegstad. Click on the "link" to go to share a favorite memory or leave a condolence message for the family.